Hey guys, sorry for the lack of posts lately…super busy with design anthology! 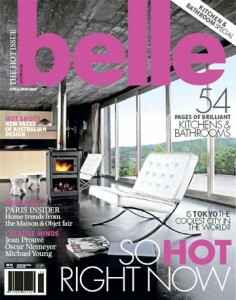 Speaking of which, I almost for got to tell you that issue 2 has hit the newsstands. Look what arrived from the printers today…! 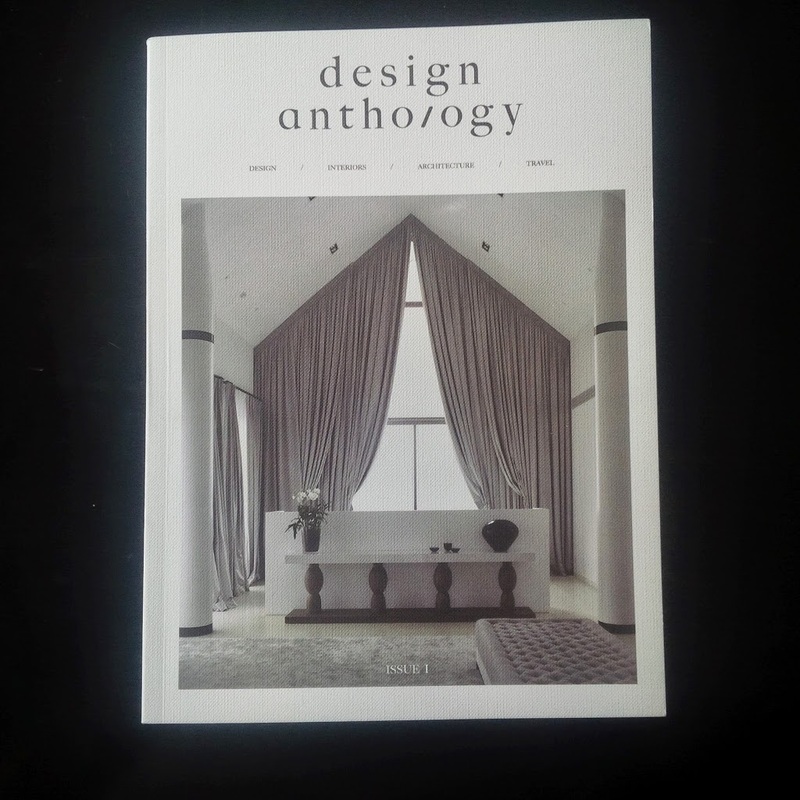 Design Anthology should hit newsstands around the world later this month! Hello everyone! Another exciting update about what I’ve been busy working away on….the magazine I mentioned just before Xmas is going full steam ahead…we have distribution set up in many countries now…just waiting on a few last minute things to come together. 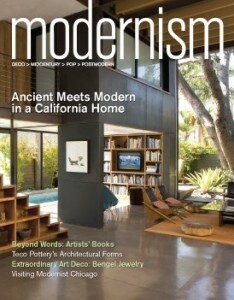 We are printing our inaugural issue in early April, so it should hit the news stands later that month. 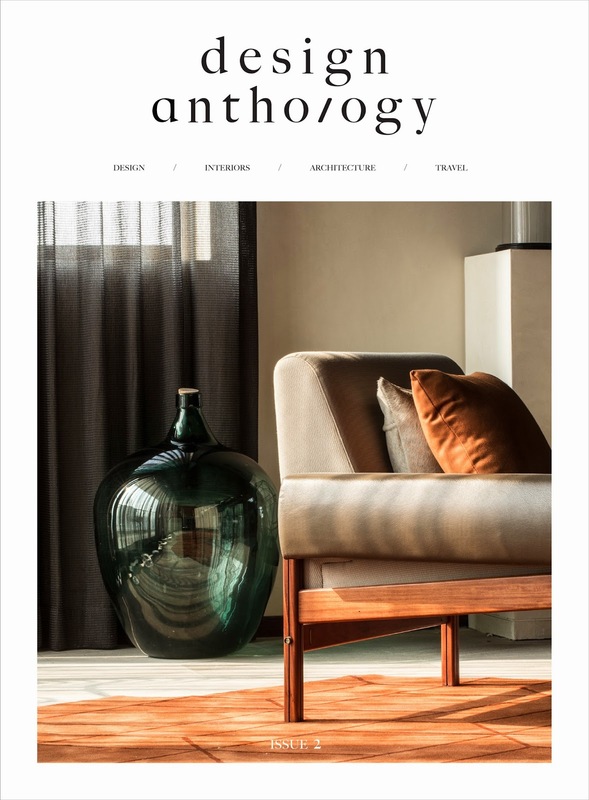 You’ll notice a page at the top of the blog now that links to the website (still under construction), and we ave a facebook page you can like to stay informed of news and other exciting updates (https://www.facebook.com/DesignAnthologyMag). We’re also on twitter (@damag_asia). Hopefully I’ll have more news again soon! 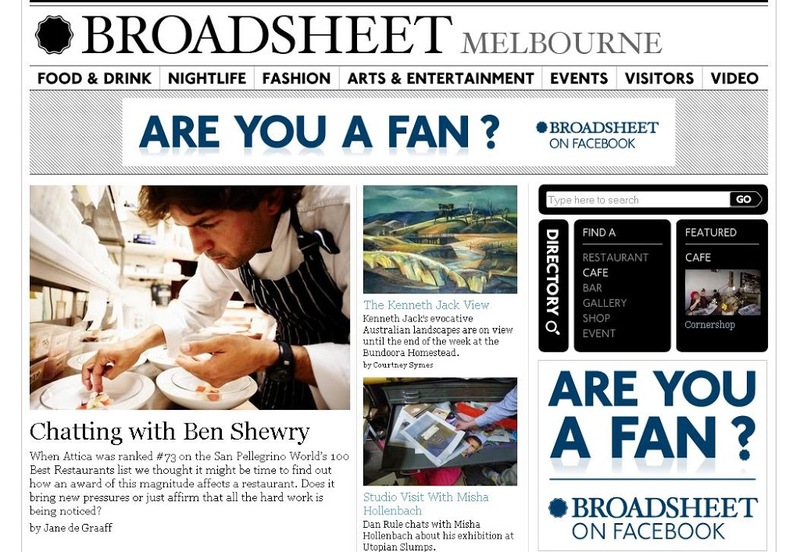 I’ve just had a very decadent week-long staycation with some great friends from Melbourne. 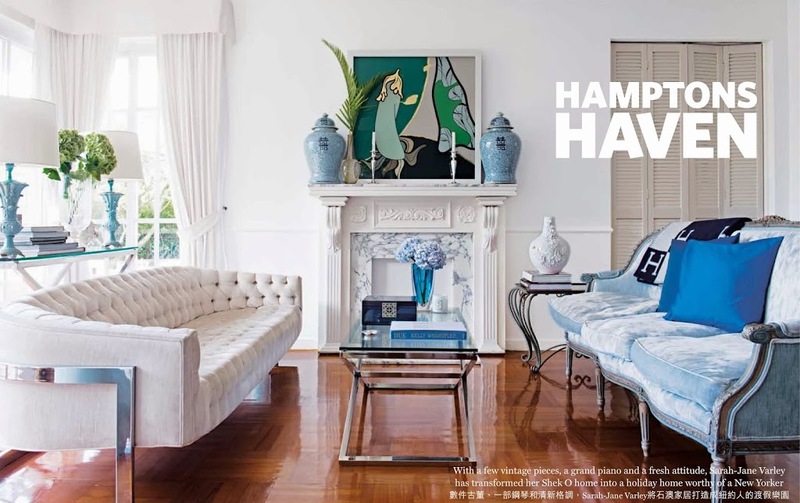 I might need a few days to get myself back in to work mode…but in the mean time, my Hong Kong readers can sate themselves with this feature on my friend SJ’s lovely Shek-O home in the latest Home Journal, which I styled. 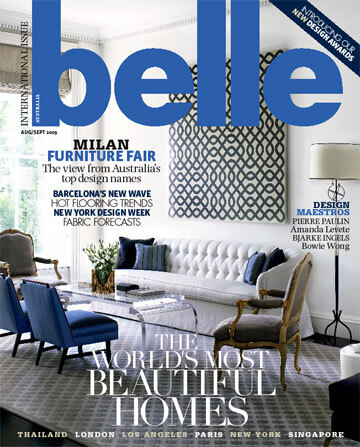 On newstands now. 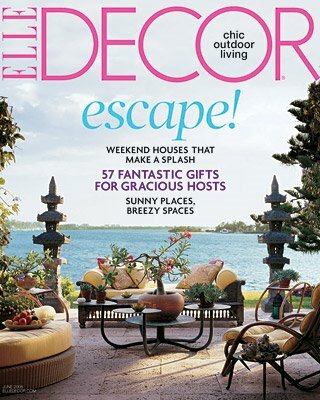 I recently, somewhat reluctantly, subscribed to the electronic format of bunch of magazines that I regularly buy. Until I get myself an ipad I’m going to be reading them on my pc, which is just not the same as holding a magazine in your hands. I will miss it, however, I decided it was finally time to put my money where my mouth was and stop participating in the destruction of so many trees. That, and I am running out of space for them (I have 10 yrs worth of some, and I just can’t bear to part with them)…and I’ll save a little money in the meantime. 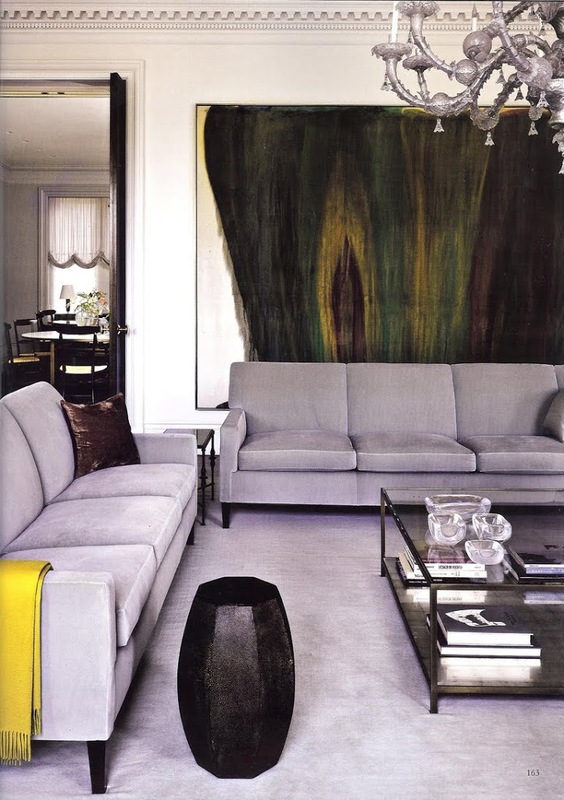 So I was pretty thrilled with my in print version of Architectural Digest this weekend, and in particular the dressing room of Alberto Pinto’s own Rio de Janeiro apartment. Not so much with any other of the rooms, but the bleached mahogany pretty much made up for the rest of it in my eyes. I’ve long been an admirer of Pinto’s work, so its a little surprising that this is my first post about him. I also don’t own any of the many books he has published. However, I noticed today that he has a new one coming out that looks interesting, and I think it just may feature this apartment. Its available for pre-order on Amazon now….so do yourself a favour and reserve yourself a copy like I did! 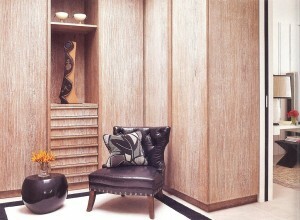 Photograph of Pinto’s dressing room taken by Ngoc Minh Ngo for AD USA, September 2011. This past weekend was the first time in a while I’ve had time to catch up on magazines, and I’m so glad I did. With a stack of about 8 of my favorites on Saturday morning I spent a few joyful hours pouring over images and made a few discoveries…. A new project by NYC based architect Annabelle Selldorf was one of them. 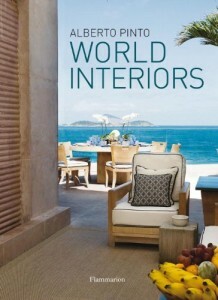 Check out the May edition of the German AD for more stunning photos (by Nikolas Koenig). Another beautifully put together home by a woman who I think has perfect taste. 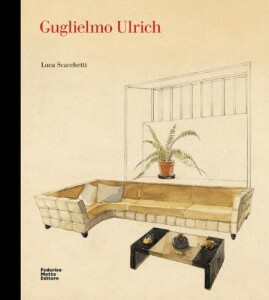 And, thanks to Elle Decor for bringing my attention to the recent release of this new book on one of my favorite mid 20th century designers, the Italian master Guglielmo Ulrich. I can’t wait for my copy to arrive! I don’t think I’ve ever seen the Lane Crawford home store in Pacific Place so crowded as it was on Thursday night. 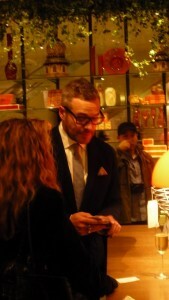 Thursday night was of course the launch of the seasonal Monocle store, the first of the magazine’s retail outlets in Asia. 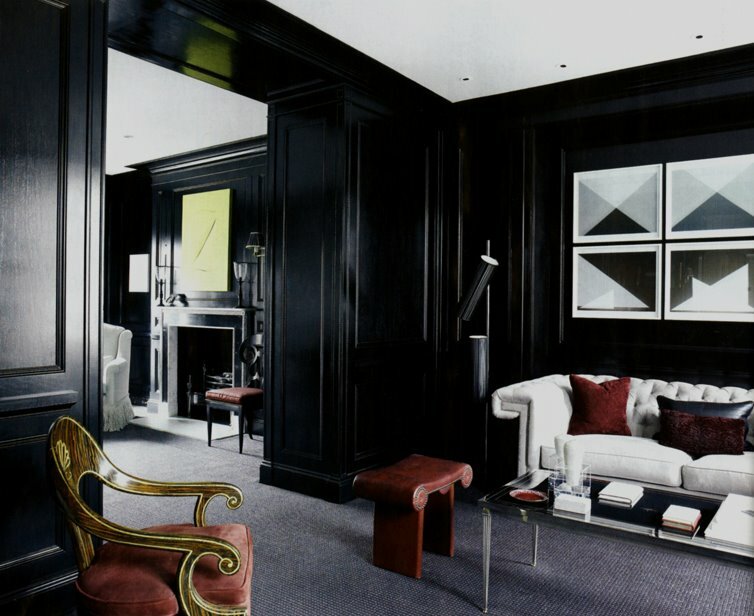 Being a fan of Tyler Brûlé from way back when he launched Wallpaper, it was hard to resist the invite. Sipping Veuve and listening to the tunes of the Japanese ‘Immigrants Bossa Band’, and a chance to meet the man himself, the evening was definitely one that will be tough to beat, in terms of store openings. The Lane Crawford pop-up store will stock Monocle’s range of lifestyle goods from their own CD compilations, posters, notebooks, candles and other accessories. So if you’re in Hong Kong, go check it out! 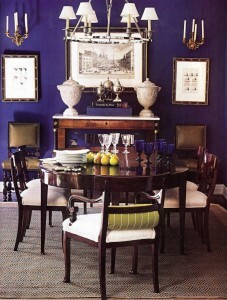 More photos of the new store can be found on the Lane Crawford website. 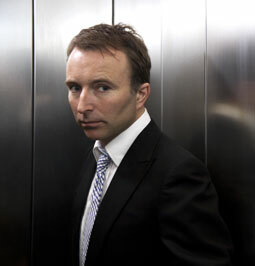 Above photo of Mr Brûlé taken by me (I already mentioned I was a groupie…). In my humble opinion, there were several very interesting speakers on Day 2 of BoDW – one standout in my mind was definitely Tony Chambers, Editor in Chief of Wallpaper* magazine. Chambers presentation was entitled “Brand Spanking” and posited that magazines and newspapers are not dead, print media is just no longer enough. This is a subject close to my heart, and I’m guessing quite a few of you out there, as it seems that bloggers and blog readers are also magazine junkies. 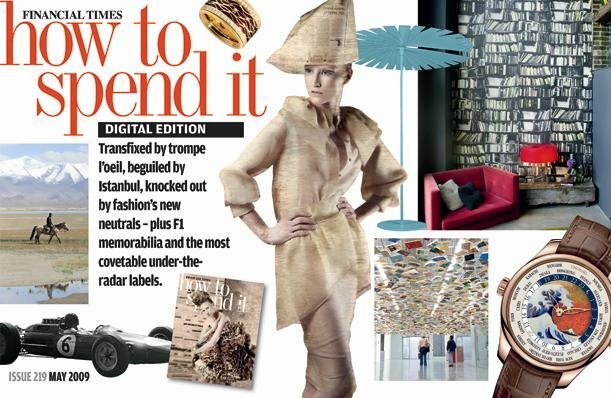 Chambers spoke at length about the work that has been done to revive Wallpaper since founder Tyler Brûlé left the helm, and how they are dealing with not only the financial crisis, but avoiding ending up in the ever growing magazine graveyard. 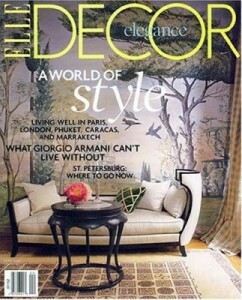 Making Wallpaper a brand is the strategy that Chambers feels will differentiate it from other printed “products”. With the development of its online presence, and the Wallpaper city guides, it seems they have been quite successful so far. 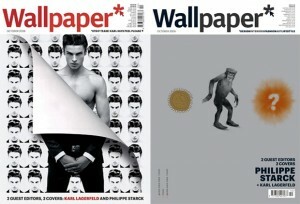 In the same month readers were given a choice between a strip tease cover by Karl Lagerfeld – peel away cover to reveal Karls’ favorite model a la natural – or a flip animation by Philippe Starck. 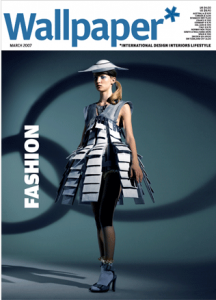 Lenticular technology was used on this cover featuring a dress design by Hussein Chalayan that moved as you turned the cover. 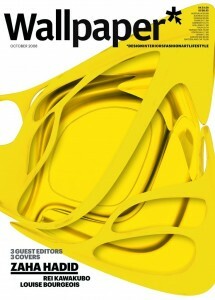 Zaha Hadid’s cover involved die cutting may pages of the magazine to form a 3D sculpture inside the magazine. Some of my other favorite ideas were the glow in the dark cover, and the use of invisible ink (some of the type on the cover was only visible when the ink was exposed to the light). Pure genius. Chambers touched lightly on the subject of online media, and said he felt it would not be the death of magazines, that instead it needs to enhance the readers experience. I really wanted to ask him about whether he felt blogs, twitter and facebook would play any role in their online presence, but they were running out of time. What would you have asked him given the chance? If you don’t already have yourself a copy of the Australian Belle magazine, run out and get one! 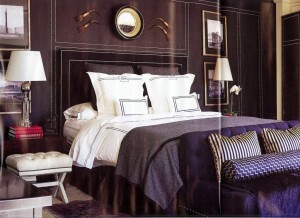 I’ve been drooling over this gorgeous room from the front cover spread…and I just had to share. Yay! 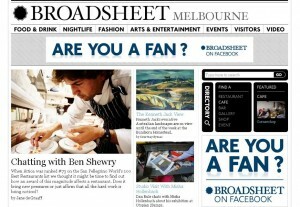 I think I might have to make a special trip past the newstand tonight to pick myself up a copy. Have a great weekend everyone! 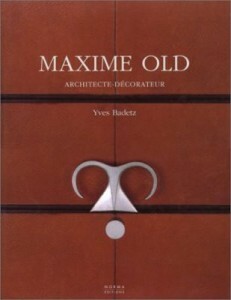 Ready for the long weekend..
AND a new book to read (except that its all in French….so maybe just to scan for now)…. can you guess how happy I am? – not to mention the fact that it’s my hubby’s turn to make breakfast this weekend. YAY! I’ll be back posting on Tuesday, enjoy your weekend folks! Anyway, I do digress a little. 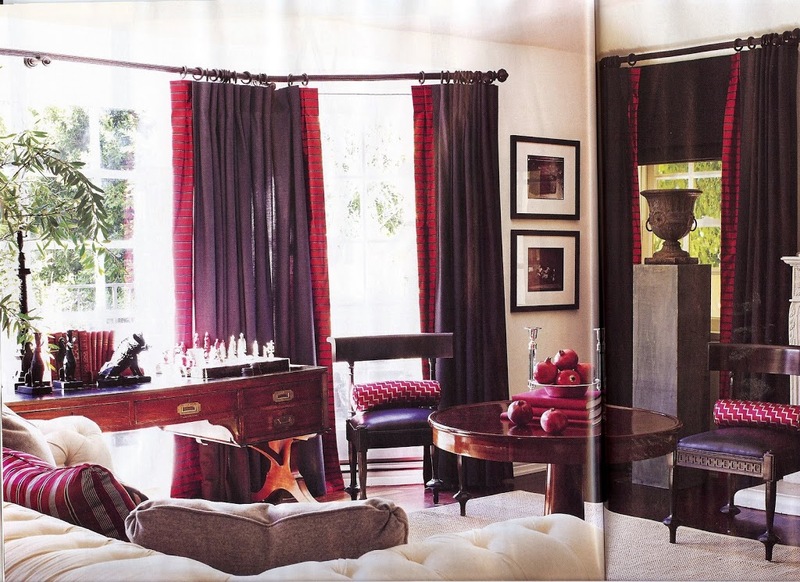 The spread that made me gasp was from House Beautiful – an LA home by none other than Mary McDonald. She has an amazing eye for colour and a talent for mixing beautiful pieces – a combination that makes each of her interiors colourful, chic and livable – as well as looking like they have a history! 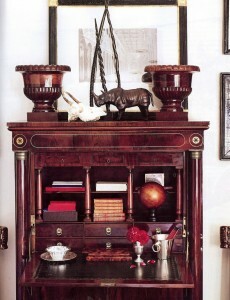 Perhaps I’m just fed up with the mostly Asian negative attitude towards vintage and antiques – or anything with history. Maybe I should just stop complaining and do something about it! Sorry for the rant folks, but I feel better now. 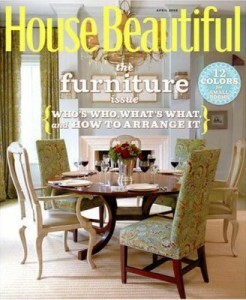 All images from House Beautiful Feb 08. More details about the feature here.